Does Jojoba Oil Help Hair Growth? 5 Amazing Masks! “Does Jojoba Oil Help Hair Growth”? The name of our friend is Simmodsia Chinensis, but everybody calls it Jojoba! It`s an evergreen plant and loves the dry and moderate climate. 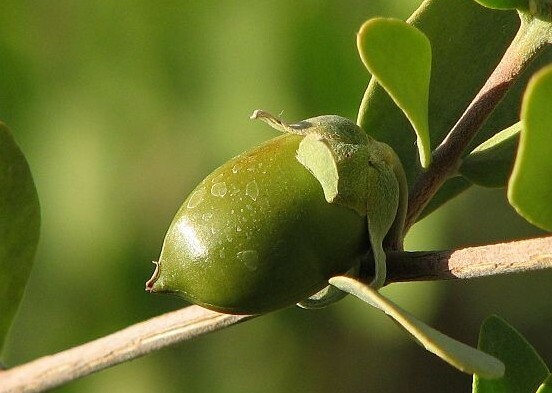 Jojoba originates from the lands of Arizona, Southern California and Mexico. At a later stage, the modern people heard about these benefits and cultivated the plant so more people could take advantage of this beautiful natural gift! 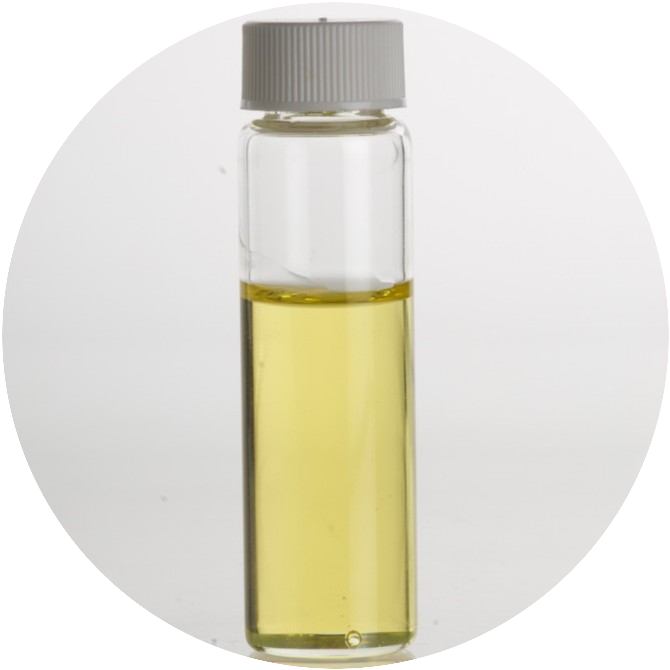 Nowadays Jojoba oil is used in many natural cosmetic products. In fact, jojoba oil replaces the animal fats which has been used as ingredients in the past. In its pure formula, jojoba oil has a golden color and gentle walnut scent. When refined, it has no smell. It is rich in fatty acids, vitamin C, E, B complex. It is also rich in minerals, like iodine, copper, zinc, chromium, silicon. OK, now let’s see how jojoba oil can help our hair? Jojoba oil versus dry hair. Applying jojoba oil over dry hair can help you moisturize it and shape it in a better way Put the oil on your hair before you wash it or together with the shampoo. This action prevents your hair’s natural oil removal. Maybe you know that the natural oil protects your strands from dust and drought, as it creates a thin wax coverage on each hair. It balances the PH which is a significant factor, as well. 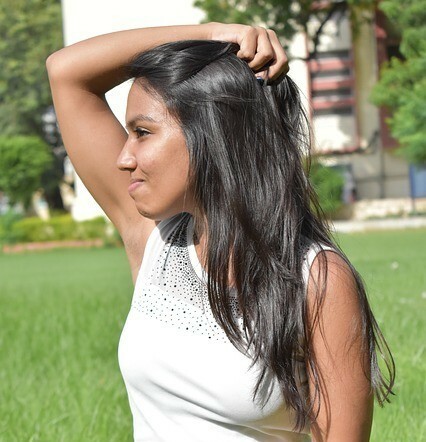 The dandruff is a widespread issue, and almost everyone has felt this irritating and itchy situation of the scalp at some moment of his or her life. In fact, dandruff comes as a result of the death of the scalp cells at a higher than average speed. The reasons can be different, but the dryness of the scalp may be one of them. Jojoba oil can help us when fighting dandruff. Usually, the shampoos, containing zinc and selenium are used for curing dandruff. And here comes jojoba oil, which is naturally rich in these two minerals. Thus, it can contribute the dandruff control. 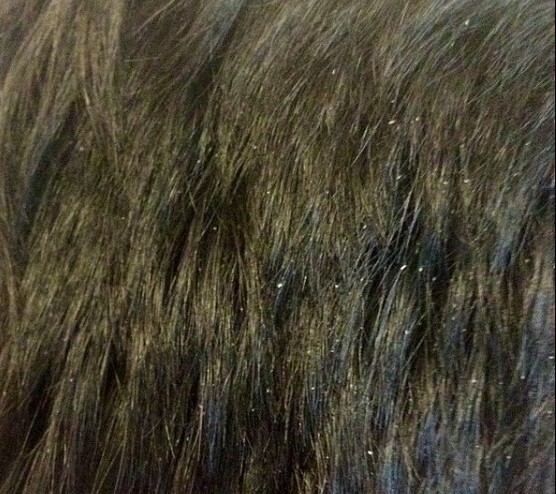 Of course, we cannot say that dandruff is a straight cause of hair loss. But it is an indirect agent, as the process of scratching one’s head leads to weakening the hair’s roots. Jojoba oil can also help us prevent our scalp from fungal attacks, which could be related to dandruff, as well. Most of the standard chemical, cosmetic solutions don’t deal with the reasons, but with the consequences. And again our old friend jojoba oil comes to rescue our oily scalp. It helps the clogged pores to open, thus controlling the natural oil level on our precious hair. Jojoba oil makes our hair look beautiful and shiny. It removes the build-ups and balances the hair components to perform in the healthy sweet spot range – neither too dry nor too oily. Does jojoba oil help hair growth? With all being said, we have the affirmative answer. to call our friend to support our hair! 1. Hair mask for hair growth. Mix 1 teaspoon of jojoba oil, 1 teaspoon coconut oil, 2 teaspoons honey, 15 drops lavender oil. Apply for half an hour on your hair. Rinse it and wash with shampoo. 2. Hair mask for healthy hair. Mix 1 tablespoon jojoba oil, 10 tablespoons yogurt and 1 egg yolk. Apply for 20 minutes on your hair. Rinse it and wash with shampoo. 3. Hair mask for moisturized hair. Mix 1 banana, 3 teaspoons jojoba oil, 1 teaspoon honey and 3 teaspoons yogurt. Apply for 1 hour on your hair. Rinse it and wash with shampoo. 4. Hair mask for greasy hair. Mix 1 avocado, 1 and a half lemon and 2 tablespoons jojoba oil. Apply for 1 hour on your wet hair. Rinse it and wash with shampoo. 5. Hair mask for dry hair. Mix 1 avocado, 3 tablespoons olive oil and 1 tablespoon jojoba oil. Apply for half an hour on your hair. Rinse it and wash with shampoo. Some more tips and recipes for homemade hair masks for the dry and damaged hair you can see here! OK, now you know how strong supporter of our hair growth jojoba oil is! Just be sure you have it at home, so it is possible to prepare some of these and other mixtures. Experiment and find which of them suit you best! HERE you can read more tips how to treat your hair at home, so it gets healthier! The next level of your hair care is the usage of professional natural cosmetic products, which blend a lot more oils and components to enhance the effect on your body and head. 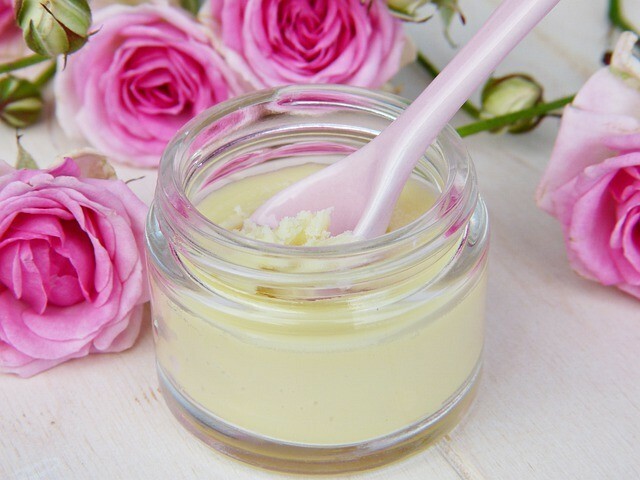 Such recipes sometimes include more than 10 ingredients, each of them carefully chosen, tested and blended in a way that they have found the formula for the pure and healthy skin. We have to be happy that nature has given us the ability to use it in a way that makes us in better shape! and not leave your hair care to chance. Now you are armed with one more powerful “weapon”! Do you use jojoba oil? Does jojoba oil help your hair growth? What other methods do you use to keep your hair in good condition? I had many problems with my hair for a long time and since I`ve started using jojoba oil masks, my hair is strong, shining and healthy. I use the second mask (jojoba oil and yogurt and yolk) and it really made wonders. I will definitely try the other ones too. 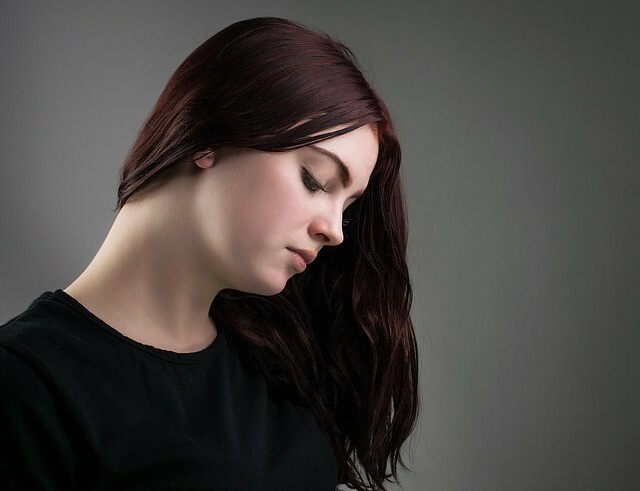 Is it ok if I use two different types of hair mask in the same week – for example, one day mask for hair growth and after 2-3 days – a moisturizing mask? Jojoba oil is one of my favorite essential oils. Not to mention the fantastic properties of yogurt! and you want just to maintain it; then I would suggest doing it more seldom – let’s say once per week.